Like a freshly dead zombie in some post acropoliptic dystopia, the walk keeps going despite all attempts to end it. Unlike zombies, of course, we are all alive and well and not at all interested in eating people’s brains. But the “end of the walk” party at Earthwise in Perth last Thursday failed to stop us. 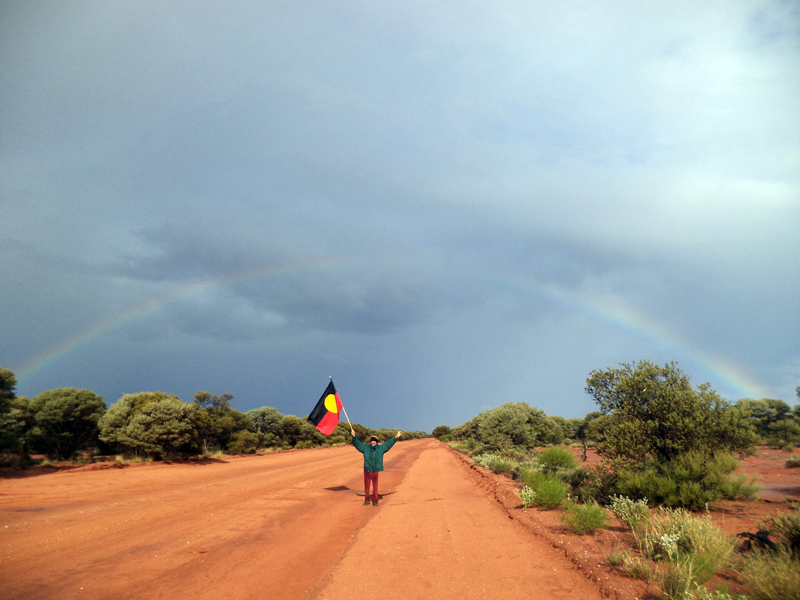 Unlce Glen Cooke, who lives in Wiluna, joined us at Earthwise. Many will remember Uncle Glen, who walked with us in 2011 for the first walk. He originally just came down to see us at North Pool, but ended up walking with us for several weeks. 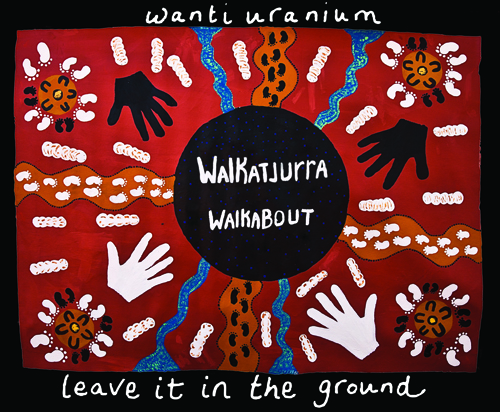 He became a spokesperson against the Wiluna uranium mine as he learned about Toro’s dastardly radioactive plans. The party included a feast with Nez and the BUMP crew delivering a delicious three course meal that not only thrilled the tastebuds off us, but covered all dietary needs of gluten free, vegan, low sugar, vegetarian and every combination of the above. The green pea soup was exquisite, with many nagging Nez for the recipe. We finished the night with birthday cakes for Spud and Shae, best summed up by Shae himself “Yum yum yum!”. The next day we farewelled some of our east coast friends, before loading up the Bardi bus for another day of travel South. By the evening, with a few stops at Op-Shops on the way, we arrived at Sonia, Andrew, Eden and Ruby’s beautiful place in Denmark. 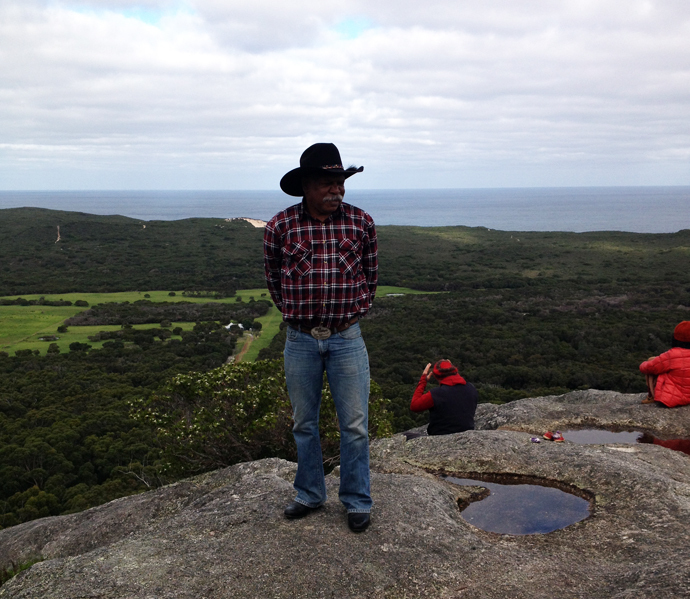 Their hospitality and generosity was as abundant as the green lush forest and mobs of kangaroos surrounding their home. Uncle Glen joked that the kangaroos hopped all the way up to your dinner table. On Saturday, we set off for the Festival of Voice early (Okay… only 8.45am, but I was hoping for a sleep in). 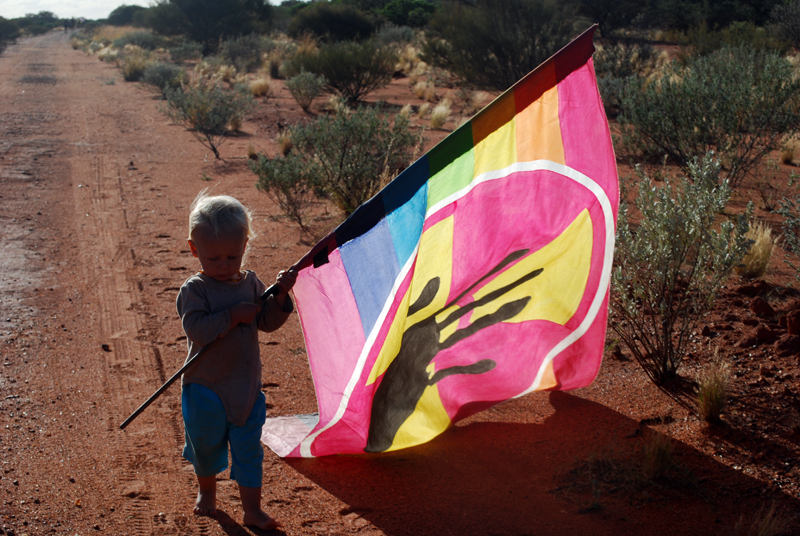 Marcus, Kado and Uncle Glen gave interesting and inspiring talks – about the how the walks came about, the proposed mine at Wiluna, Native title and the illusion of choice for traditional owners (where saying no to development of new projects is never an option) and the Walkatjurra Walkabout. The rest of the day was filled with more music events, op-shopping, trips to the dump recycle shop, and walks along the beach. Some people went to Monkey Rock for a walk, some to green pool and some just sat quietly by themselves by the river as they recovered from the culture shock of being in a town, constantly expecting to hear the “circle” call and looking for a kitchen truck where there is none. That night 20 walkers blossomed to… I’m not sure actually, I lost count… but Sharon, Ajindi, Kaya, Tyrona, Kristi, Lachie, Christopher, Evie, Shanti, Jeremy, Sarah, Namuh, and Ike joined us, so must have been a grand total of “Lots”. Kado and Deeva arrived with Kerrie Ann Cox, famous Aboriginal singer from the Kimberley and her musician buddies who performed for us rousing songs to put fire in our bellies and hope in our hearts. It is very exciting times and plans for next years walk and follow up run are already in the making..!!!! 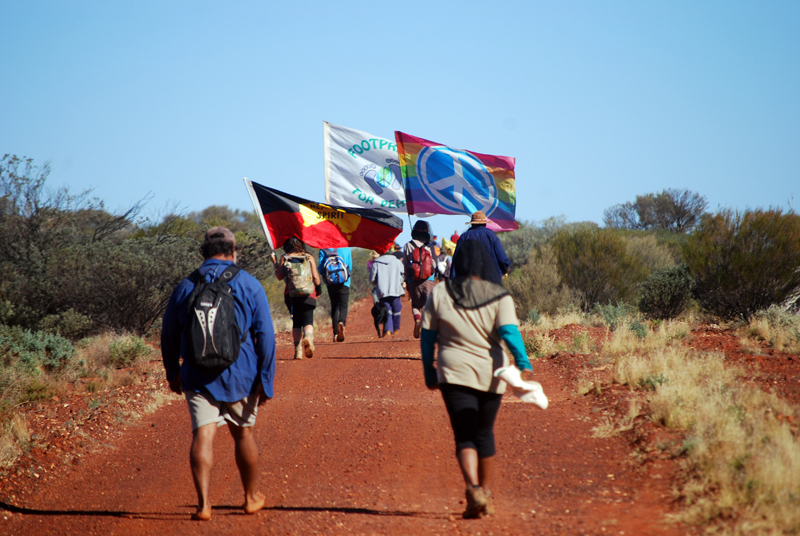 This Wednesday the 19th of June some of the walkers along with representatives from the Australian Nuclear Free Alliance (ANFA) will travel to France for Press conferences, Public meetings and a 4 week walk! !